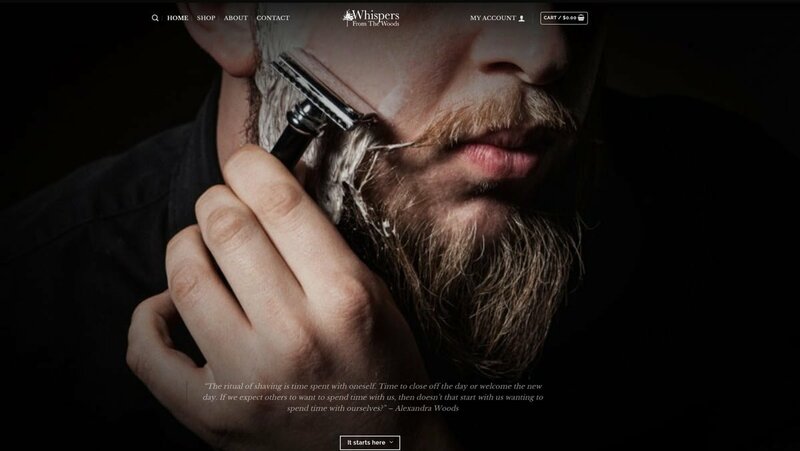 If you haven’t already heard of them, Whispers From The Woods is an artisan shaving soap producer and they also sell grooming supplies based in Black Springs, NSW. This dynamic company is rapidly making a name for itself for offering their customers a superb traditional shaving soap all handmade with natural and mainly organic ingredients. Whispers From The Woods approached us to create an alluring, user-friendly and completely secure e-commerce web design to convey the luscious, sustainable appeal of their product. They also needed continuing IT support. As an efficient, customer friendly e-commerce site, Whispers From The Woods takes their security very seriously. Part of our brief was to ensure that their customer transactions are kept 100% safe. So Social Web Works implemented an SSL certificate on their entire website, not just the checkout pages. Whispers From The Woods just happens to be based outside our hometown of Orange. But if they’d been based in Bathurst, Sydney, Melbourne, or anywhere else in Australia they would have received equally successful outcomes. So no matter where you’re situated, get in touch with Social Web Works today and find out what a huge difference we can make to your online and marketing success.